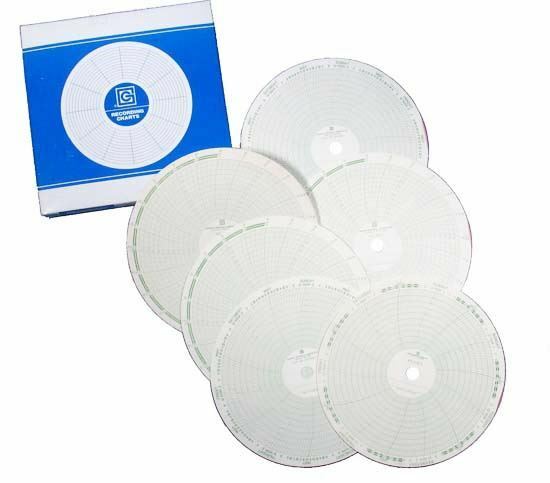 Key-Wound Temperature Recording Charts - Gilson Co.
MAA-60 7-Day Charts and MAA-61 24-Hour Charts for Temperature Recorder are used with MA-80 or MA-81 Key-Wound Temperature Recorders for recording temperature and humidity data. Temperature range for recording is 0° to 150°F. 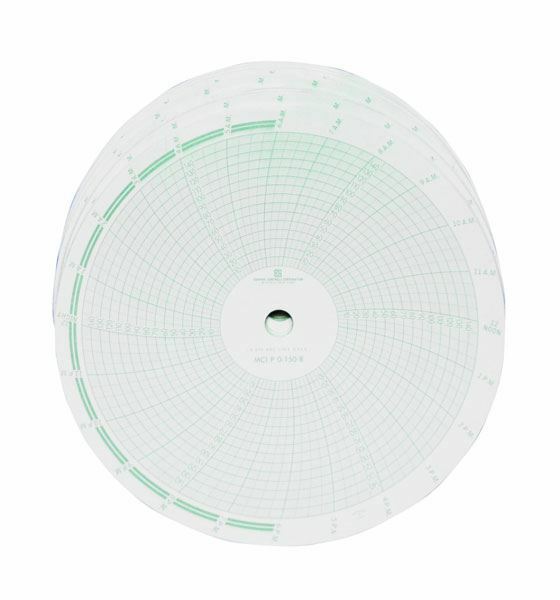 Circular charts are 8in (203mm) diameter and each model is supplied in package of 100. 8" Sieve, Brass/Stainless, Full Height, 1-1/4"